I'm sure the intentions of whoever wrote the press release were good . . . but . . . it is quite a stretch and I hope no one takes it seriously. Still, interesting that it made it into Google News. The research the author discusses has nothing to do with Crossfit. The press release does, however, attempt to associate a high-fat diet (promoted by some Crossfitters as healthy than other diets) with lower incidence of cardiovascular disease by comparing incidence of disease between residents of Switzerland and Australian aboriginals living in modern Australia. The claim was that a high-fat dining Swiss have less cardiovascular disease than the presumed low-fat dining Australian Aboriginals and that, therefore, high-fat diets are healthier than low-fat diets. I have not looked up the statistics for the Swiss, but Australian Aboriginals have been suffering increasing rates of cardiovascular disease over at least the last 30 years. Few modern Aboriginals are likely to be following a traditional Aboriginal diet. It is extremely unlikely that the increasing rate of heart disease observed in Australian Aboriginals has been caused by low intake of dietary fat. Aboriginals are suffering from increasing obesity and diabetes just like so much of the rest of the world. 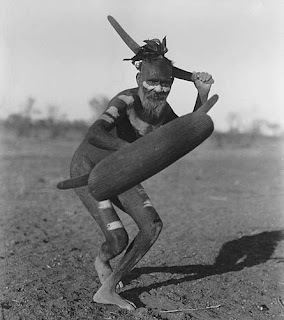 The high incidence of cardiovascular disease in Aboriginals may be due to genetic factors and a change to a Western-type diet but extremely unlikely to be caused by a low-fat diet (especially since they are not eating this way anymore anyway). There are also obviously many other differences between the Swiss and the Aboriginals (differences in poverty levels, availability of lederhosen and differences in other possibly important variables like intake of strong coffee and chocolate). This is all silly until one considers the disservice being done to readers who key into a health-related article's authoritative words (Research, World Health Organization, Medical, Clinical, Science) and believe the message makes sense.